This set is carved from specially selected Indonesian teakwood, known for its beauty, density, and longevity. Each figure is carved by Indonesian artist Hasan. The stable is topped with woven banana leaves. The leaves on the palm trees are individually carved. A well lies between the two trees. 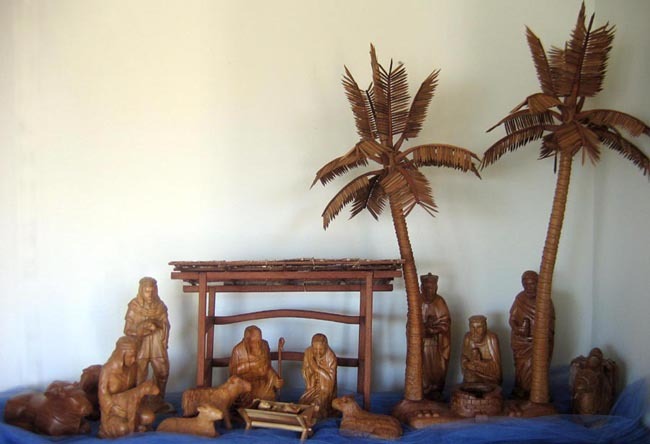 Only 50 of the sets were carved in 2003.